The horror, the horror of this book. I’ve read it three times and each reading I loath it slightly more. It’s only 80 pages and still I don’t understand what happens and I get frustrated at the ending each time. What is the point?! (Okay I know the point is finding the doctor, but the ending – ugh, kill me I’m so bored) I can appreciate the literary significance of Conrad’s words, but I have never liked this book. I hate it. My heart is full of darkness when I read this book. What can I say? It’s just not for me. 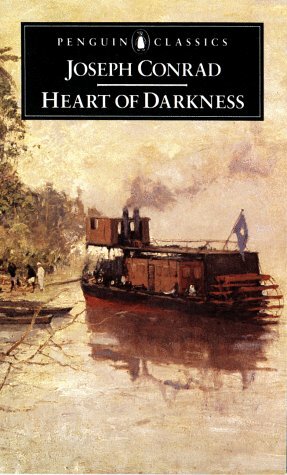 “My heart is full of darkness when I read this book.” Ha! I laughed out loud, as the kids say.